WHY GIRL talks about five planets in reprogram for May. What does that mean? Retrograde motion is the apparent motions of a PLANET in a direction opposite to that of other bodies with its system. Many believe that planets in retrograde are a good thing bringing in that which you have seeded. As May begins, there are five planets trekking through a retrograde (backward) cycle: communicator Mercury, stressful Mars, expansive Jupiter, structured Saturn and powermonger Pluto. The aim of Mercury retrograde perfects those areas of thought and communication which once let you down. As your communication skills improve with experience, your karmic debt will be reduced and you can get off the roundabout. Look at the bright side. You are in the perfect cosmic time to bring in your hopes, dreams, all that you’ve been working on. Who is Hildegard of Bingen? And Why Is She So Important to Women? 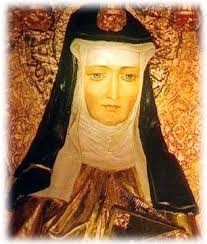 Hildegard of Bingen was a remarkable woman”…A BLAZING MIND LONGING TO SOAR ABOVE THE CLOUDS”. She was a “first” in many fields. At a time when few women wrote, Hildegard, known as “Sybil of the Rhine”, produced major works of theology and visionary writings. With the joy of life. I call forth tears, the aroma of holy work. Are WORDS Lost with Each Generation? Yes, I am afraid that’s true. I was at my nutritionist who is a bright charming early 30ish woman. We were reviewing the foods to eat and the foods not to eat. When we were discussing the NO list, I said, “So these foods are anathema?” She looked at me as though I were speaking another language. Anathema is something that one vehemently dislikes. Later, thinking about this conversation, I realized that with each generation we are losing words because of non usage or the words don’t fit into our current popular culture. SAD.